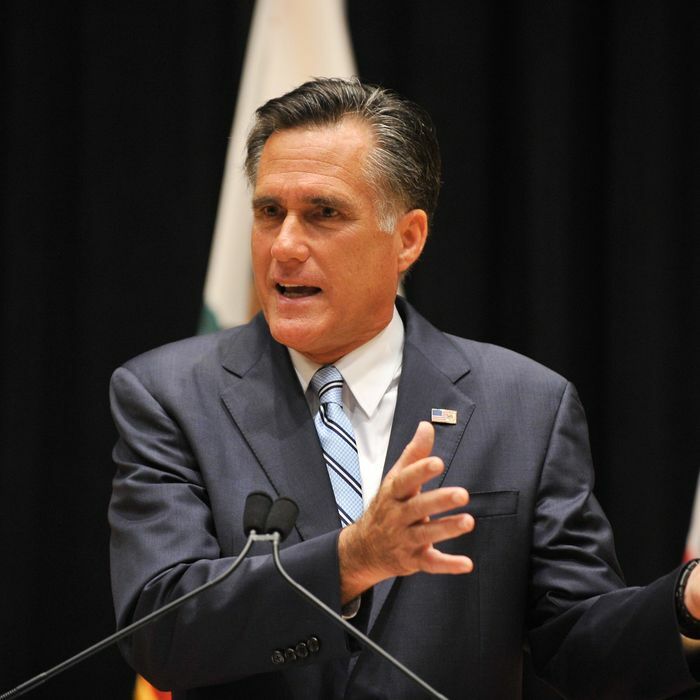 One reply to Mitt Romney’s horrifying comments about his plan to ignore the half of America he imagines to be self-interested freeloaders is that it didn’t necessarily reflect the true Romney, who may simply have been pandering to his donors. Now, obviously you can never be certain what a person is actually thinking. But this comment seems overwhelmingly likely to represent the true beliefs of Mitt Romney. First, in general, a candidate’s statements behind closed doors to people who already support him are more likely to reflect his true beliefs than public statements designed to appeal to those who don’t share his beliefs. Second, Romney does pander a lot, but the thing is that he’s absolutely terrible at it. His lies are obvious, which makes the moments when he says something he seems to genuinely take to heart strikingly different. His comments about the 47 percent were notable for their apparent genuineness. For the past three years, all that everybody has been told is “don’t worry, we’ll take care of you.” How we gonna to do it, in two months before the elections, to convince everybody you’ve got to take care of yourself? The donor wasn’t asking Romney to dismiss the looters and moochers. He was asking Romney how he could sell them on self-reliance. And Romney’s answer, incredibly, was this: I can’t! It’s hopeless! Romney had a full range of possible replies available here. He could have talked up his plan to repeal Obamacare, deficits, job creators, Reagan, opportunity, people let down by the Obama economy, what have you. I’ve heard Republicans address this point any number of times, and they always say something about how their message of freedom will resonate everywhere. Instead, what he offered up was a bracing confession that the thing the donor wants him to do is impossible, an anti-pander.